In 2015’s spy thriller Kingsman: The Secret Service, its charming antagonist Mr. Valentine, brilliantly played by Samuel L. Jackson, is informed by his bodyguard that she had “contacted the KGB, MI6, Mossad, and Beijing” in search of the elusive Kingsman after one of its agents killed a Valentine associate. Upon hearing this, Valentine remarks “Beijing. So freaky how there’s no recognizable name for the Chinese Secret Service. Now that’s what you call a secret, right?” He’s not wrong. 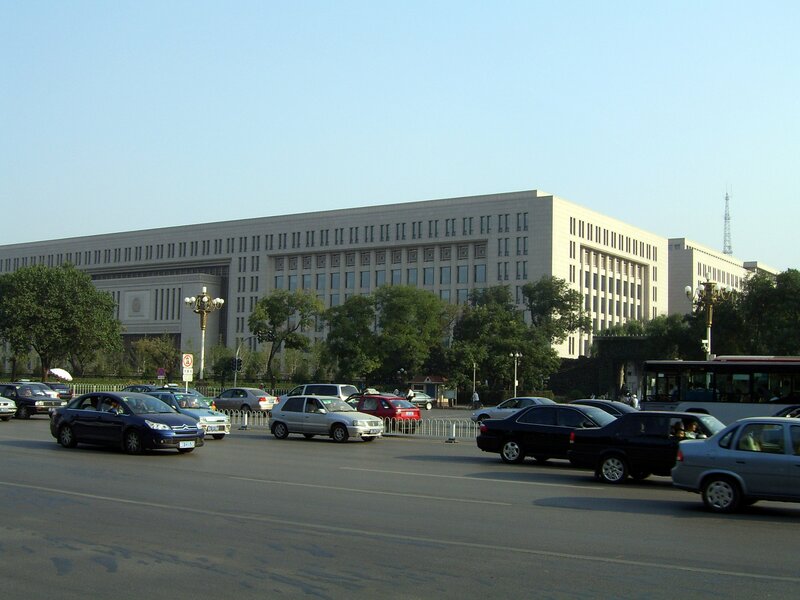 Outfitted with as many cameras as there are people, the Ministry of State Security (MSS) has enabled the Chinese Communist Party (CCP) to be an omniscient presence in Chinese society. Unlike the FBI, which is embroiled in a media fiasco with the Trump Administration, and MI6, whose London headquarters is a tourist hotspot, the MSS keeps a very low profile – to the point that many of their known exploits go under the news radar. Xi Jinping knows the importance of effective intelligence gathering and counter-terrorism in the information era, and has given the MSS carte blanche to neutralize present, and potential, threats to the CCP’s regime stability. Beijing’s security apparatus welcomed the rise of the internet and mass mobile communication as it enabled the CCP to gain complete insight into their populace’s online profiles, activity, and communication. For years, Huawei, the world’s second-largest smartphone manufacturer after Samsung, has reportedly collaborated with the MSS on numerous customer data collection operations. MSS agents have been monitoring Chinese students studying abroad – especially in the U.S – by setting up campus CCP cells in order to tighten ideological control overseas. Projects like the Great Firewall, which has digitally isolated China from the rest of the world, and the Golden Shield, which links state surveillance networks with digital public records, have allowed the Chinese state to read its people like a book. If all of this sounds like something straight out of Black Mirror – it’s because it is. Dalek-like robot police units patrol public spaces, equipped to exterminate handle riots and can even use facial recognition software to scan crowds. Society is moving towards a utopian social credit system where, in order to incentivize ‘good behavior’, civilians’ personal data, internet activity, ethnicity, etc. are used to calculate a ‘citizen score’ – which could be the deciding factor for a job interview, bank loan and even access to public transport. Predictive software is being developed to aggregate citizen profiles and analyze their personalities – without their knowledge – in order to predict if they could be a threat to the regime. In the near future, all Chinese citizens will be actively judged by their own government on whether or not they are an enemy of the state. At this point, Charlie Brooker is a 21st century Nostradamus. While this intimate level of surveillance hasn’t gone completely nationwide yet, it’s currently being tested on the troublesome Xinjiang region in Northwestern China where the native Uyghur people are pushing for secession. The Uyghur are an Islamic-Turkic ethnic group who are seen by the Han Chinese state as alien, second-class citizens and have historically been subjected to systematic oppression. For years, various Uyghur factions have fought to break away from China to form an Uyghur Islamic state, but Xinjiang’s geo-economic significance as the heart of Beijing’s flagship Belt and Road Initiative (BRI) and strategic borders with India, Russia, and Tibet, has made its stability mission critical to China’s foreign policy and macroeconomic ambitions. Xinjiang’s geographic location as China’s westmost province, combined with its rich energy reserves, makes it the BRI’s springboard into commodity and industrial markets in Eurasia. With billions of dollars on the line, the Politburo cannot afford to lose Xinjiang and has thus ordered the Ministry of State Security and People’s Liberation Army (PLA) to tame the mutinous state. The rise of ISIS cells in the region hasn’t made things easier either. Uyghur jihadists returning from Syria have started to infiltrate secessionist movements and set-up terror cells across the province, engaging in guerrilla attacks on military outposts and BRI infrastructure projects. Proving to be an existential threat to the economic viability of Xi Jinping’s Belt and Road Initiative, Chinese intelligence and law enforcement have started to clamp down on the Uyghurs by stripping them of their civil, cultural and religious freedoms. 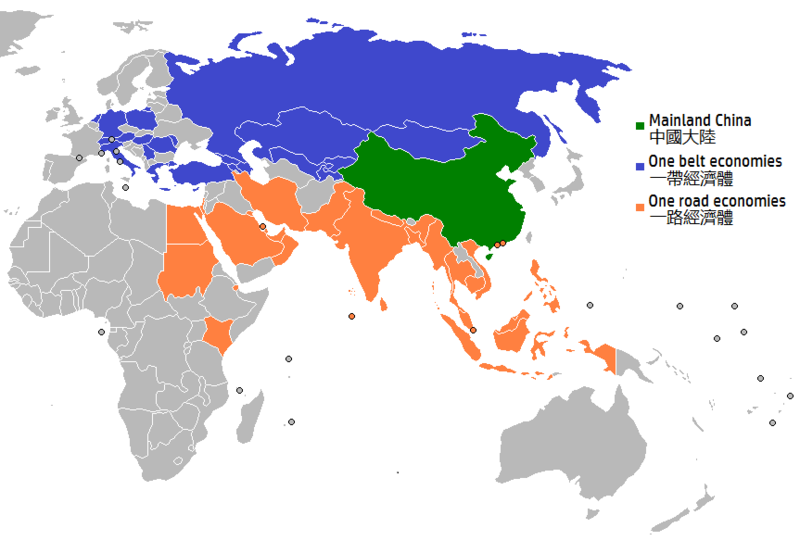 The Belt and Road Initiative is planned to stretch across Asia into Europe. Xinjiang is essentially under martial law. Chinese troops regularly patrol the streets of Xinjiang’s capital, Urumqi. The state has the highest security to person ratio in China with over 90,000 security staff in the region. Uyghurs face strict travel restrictions, to the point that most are denied passports and are instead issued demeaning household registration cards which severely limit their access to outstate education, employment, and healthcare – effectively secluding the Uyghurs to Xinjiang. Residents are also forced to download government-issued applications onto their phones which monitor their personal data and track their locations. Likewise, authorities have been collecting DNA samples, retina scans, fingerprints and blood types of millions of Uyghurs. These measures may already be seen as draconian, but a closer look shows just to what lengths the Chinese security state is willing to go in order to maintain its authority over Xinjiang. In the minds of the spymasters at the Politburo, the only solution to ending Uyghur nationalism is by eliminating the Uyghur identity itself. Images of the secessionist East Turkestan Independence Movement’s (ETIM) flag are forbidden, schools are banned from teaching the Uyghur language and even Chinese historic records have depicted Qing dynasty territorial expansion into the Uyghur borderlands as ‘unifications’ rather than annexations. Moreover, the Chinese state has also banned Uyghurs, who are predominantly Muslim, from publically practicing Islam. For example, Muslim parents aren’t allowed to give their children ‘overly Islamic’ names, the call to prayer is banned, and residents have been barred from observing Ramadan or celebrating Eid. The surveillance state has even turned Uyghurs’ against one another by encouraging them to act as informants to ‘separatist behavior’, like Uyghur men with beards or women wearing the hijab, via a ‘public safety‘ app in exchange for cash. Worst of all, thousands of Uyghurs, many of whom Chinese surveillance algorithms deemed as probable threats, have been jettisoned to squalid ‘education’ camps where they are subject to political brainwashing by being forced to learn Mandarin, memorize CCP ideology, and forgo their religious beliefs. While these campaigns are meant to counter terrorism, they’re actually counterproductive. Stripping a populace of its religious and cultural identity won’t end extremism, it fosters it. Insurgency movements are reactionary in nature as threatened partisans bear arms only when they believe their religious practices or way of life are under existential threat. The Mujahidin was born out of Soviet attempts at communist consolidation in Afghanistan. Al-Qaeda rose to prominence because of Western imperialism in the Middle East. The Marxist-nationalist Partiya Karkerên Kurdistanê‎ (PKK) was formed in response to Turkish civil repression. 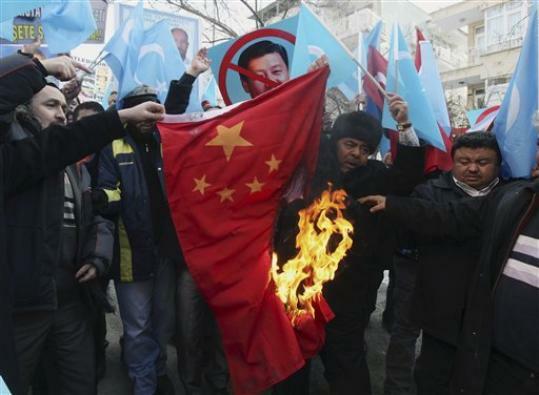 Incidentally, Uyghur hostility towards the CCP is at an all-time high. Act III: A Vicious or Toothless Dragon? 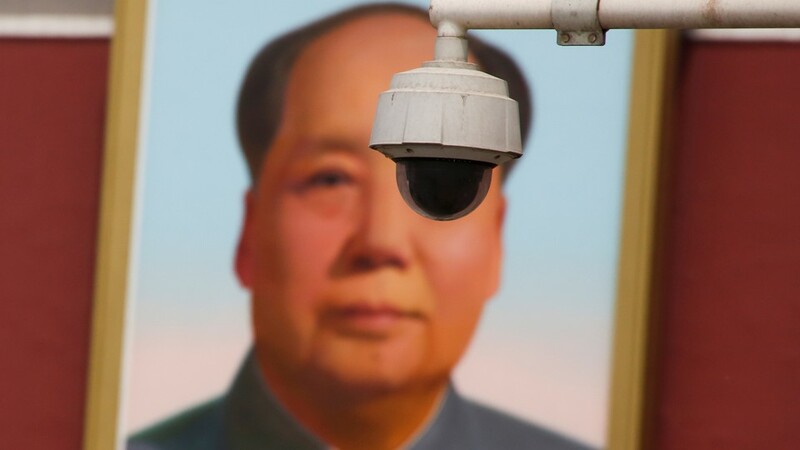 With an elected Chairman-for-life in Xi Jinping whose political thoughts are inscribed into the constitution, an omniscient secret service in the MSS, and an institutionalized credit social system, China’s future looks to be Orwellian – but for how long? Provided the world economy avoids another financial meltdown, and Beijing is able to maintain its positive economic trajectory, it looks like Xi Jinping may very well surpass Mao Zedong and Deng Xiaoping as the most powerful and influential leader in China’s communist history. With flourishing trade and information networks abroad and at home, China is tightening its grip on the international economy and its own populace. However, despite the MSS’s expansive surveillance security network, Xinjiang harbors the largest contingent of foreign ISIS fighters outside of the Levant and because of this, attacks have gone from isolated, lone-wolf stabbings to coordinated strikes against government and military targets. These attacks are making investors question the long-term viability of BRI as its headquarter state is engaged in what could be a draining and protracted insurgency crisis – think the 1979 Soviet invasion of Afghanistan. For Beijing, if the BRI fails, it would humiliate the CCP on the international stage and call into question their ability to turn China into a global superpower. Thanks to Xi Jinping’s overuse of force, with annual mass-passport confiscations, regular military mobilization, and constant civil repression, the Uyghur are on the brink of snapping. By the looks of it, because of its inimical security policies against the Uyghurs, the Politburo’s geo-economic aspirations, and Xinjiang’s stability are at serious, self-inflicted risk. The horse that leaps through clouds: a tale of espionage, the Silk Road, and the rise of modern China. Berkeley, CA: Counterpoint Press. p. 194.